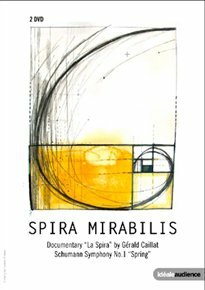 A documentary portrait of the young collective of classical musicians known as ‘Spira Mirabilis’, who study, practise and perform concerts without the involvement of a conductor. In addition to the documentary, the set also includes a film of the group performing Schumann’s Symphony No. 1 ‘Spring’ at the Teatro Luciano Pavarotti in Modena, Italy, in December 2010.